We all have that time of the day where the only thing we can think about is taking a nap. We could be one cup of coffee away from a caffeine-induced heart attack, and yet we still struggle to be productive. Science says our circadian rhythms — our internal clocks — are responsible for this feeling. Every person’s sleep/wake cycle is different and depends largely on external factors that can, in fact, be controlled. Many of these external factors also play a role in office productivity. For example, anyone who works with a computer knows how easy it is to go back and forth between social media and whatever they’re working on. Next thing you know, you’re an hour deep into what should have taken twenty minutes to finish, and you’re still not done. Sometimes, all it takes is creating a schedule, rearranging the layout of the office, or simply prioritizing one project at a time. 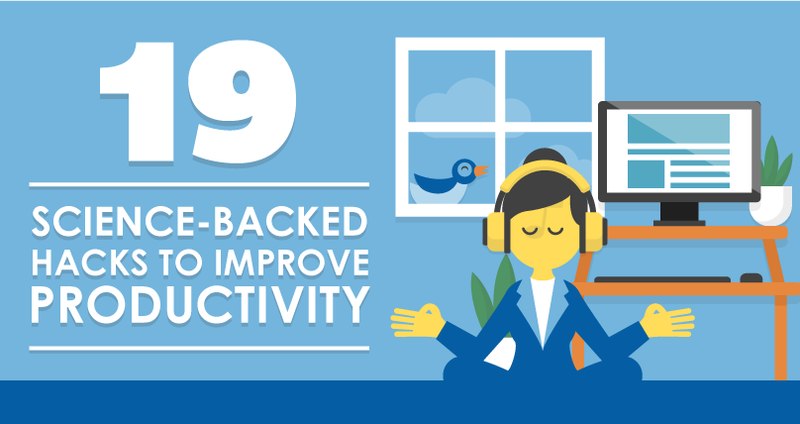 Getvoip created this infographic to show you 19 productivity tips to improve productivity that can be easily implemented.